Oldfurlong Fish & Fry! POSTPONED! I regret to inform the residents of Oldfurlong that due to the storm on Monday, we will be postponing our event until Tuesday the 1st of July. The weather is fine and the fish are hopping! 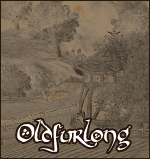 Come July 1, the residents of Oldfurlong are gathering in the town square for a good old fashioned fish and fry! We'll be fishing off the banks, catching as many Dace and Catfish as possible, then cooking them right there on campfires! All hobbits, local or otherwise, are invited--there's plenty o' fish in those ponds for everyone! There'll be music, and it'll be fun! Oh, and don't forget your fishing pole!